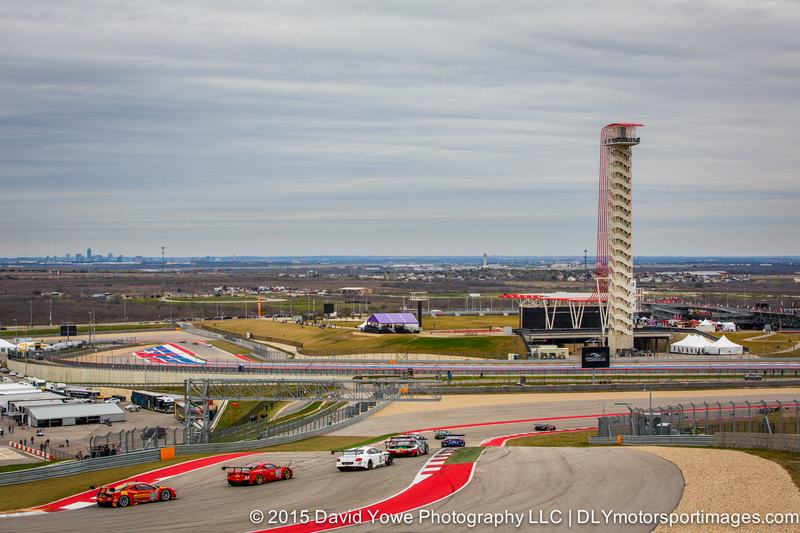 Round 1 of the GT/GTA/GT Cup class started mid-afternoon under overcast skies. Was really looking forward to this race due to the changes made from last season which led to a field of about 50 cars for this race. Hope you like the photos. 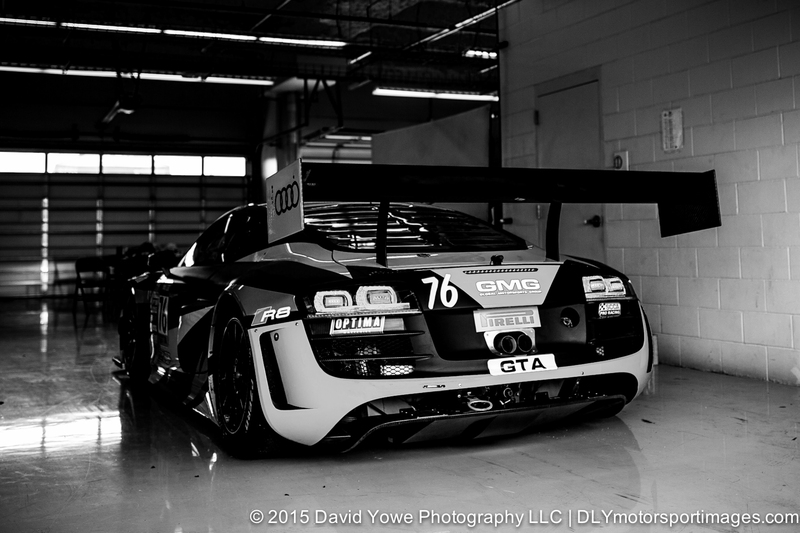 In the garage with the #76 Global Motorsports Group Audi R8 Ultra. 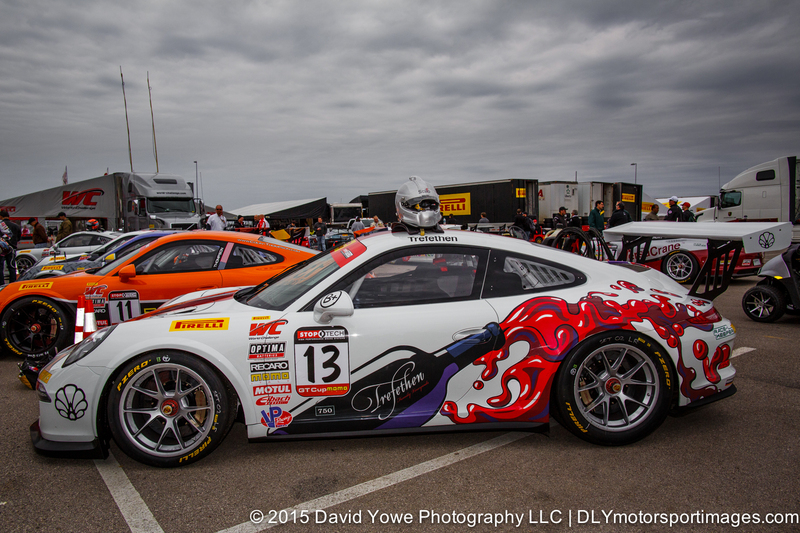 The #13 ANSA Motorsports Porsche 911 GT3 Cup car in the paddock under overcast skies. At 2.55 pm, top qualifier, Nick Catsburg in the #25 Reiter Engineering Lamborghini Gallardo led the field onto the track for the warm-up lap. 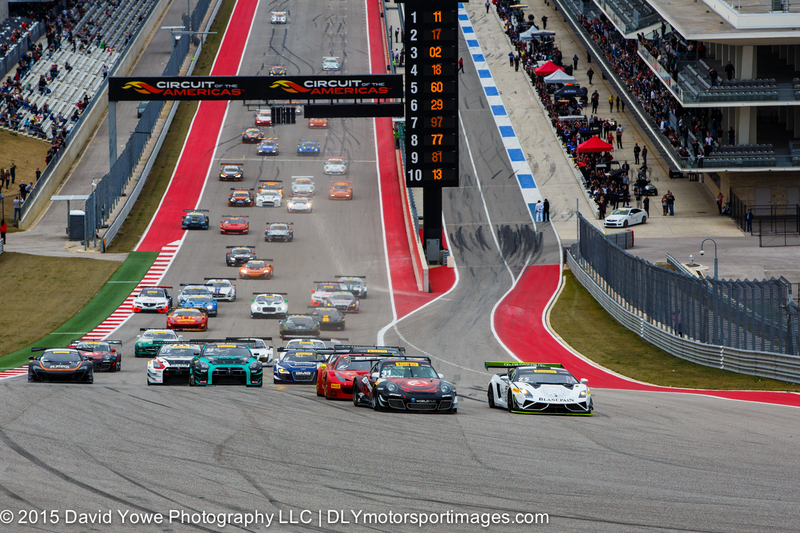 With one minute to go, the cars lined up for the standing start. 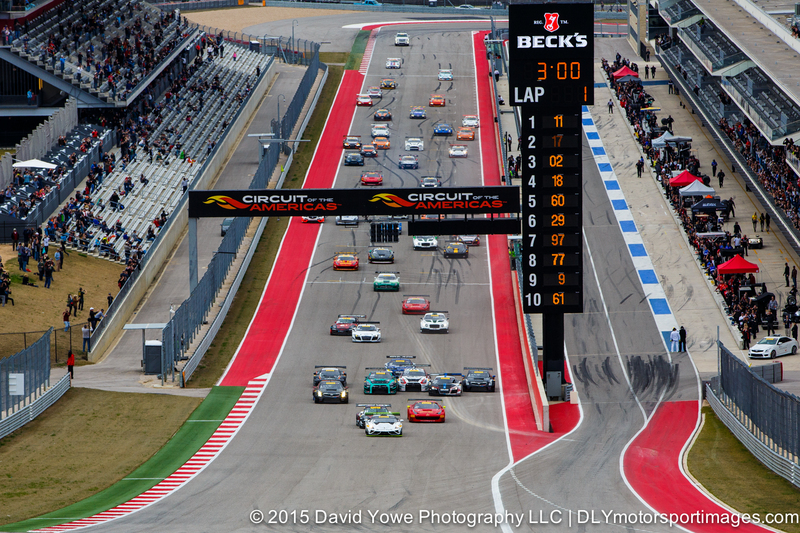 Race start at 3.00 pm, with cars five wide down the front straight. 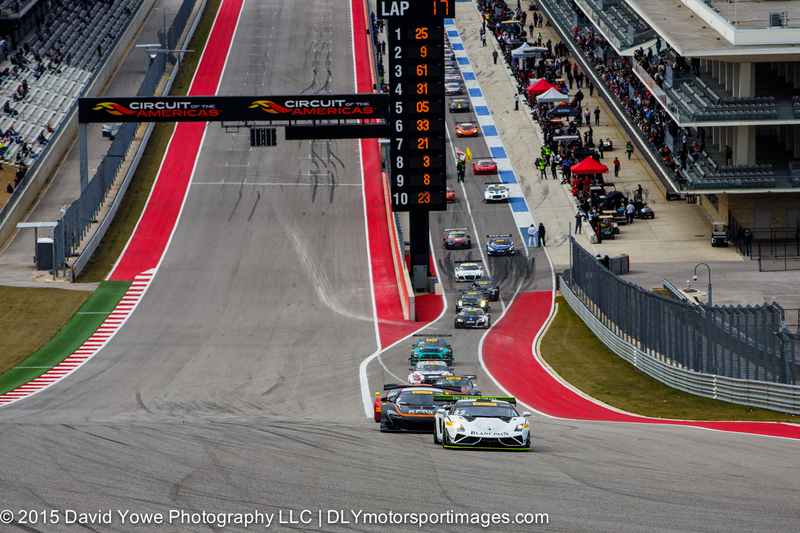 Nick Catsburg in the #25 Reiter Engineering Lamborghini Gallardo leads the field up the hill intoTurn 1. 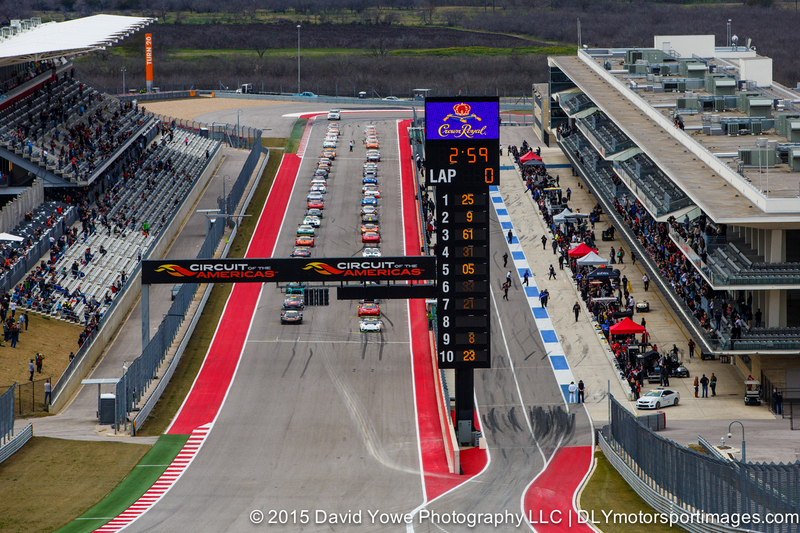 Beautiful overcast skies over Turn 2 and the Observation Tower. 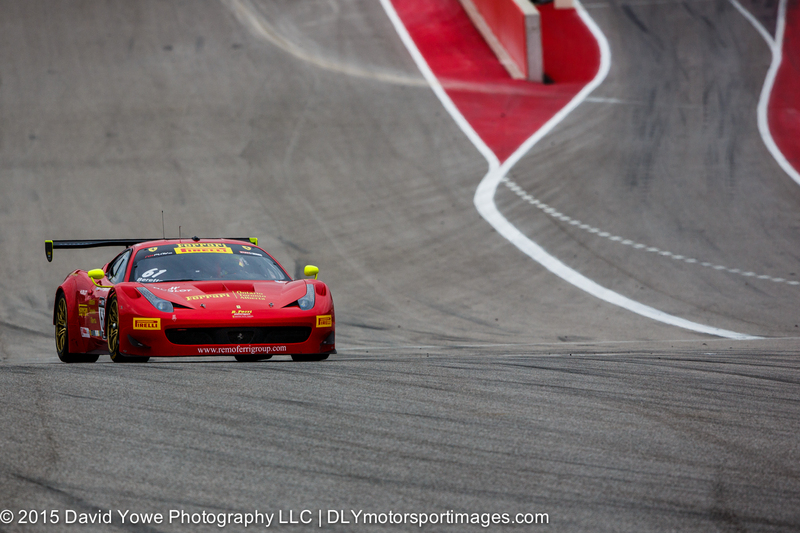 Race winner Olivier Beretta in the #61 R. Ferri Motorsport Ferrari 458 GT3 Italia. 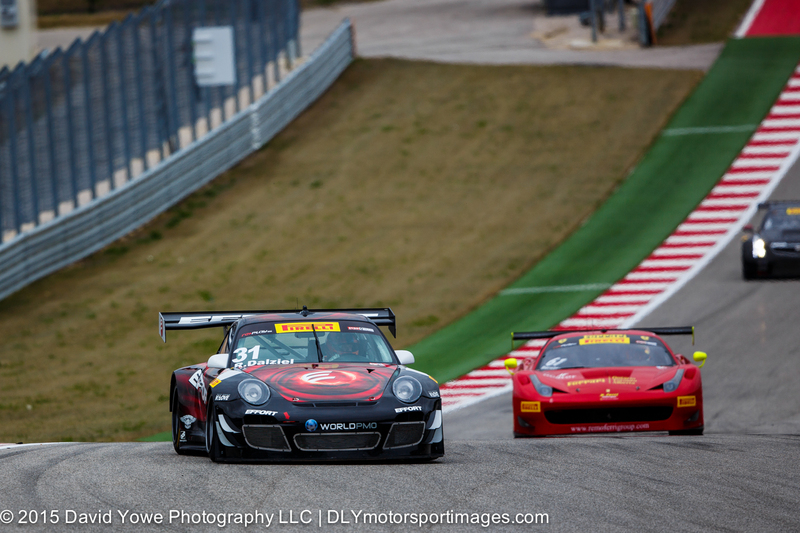 Ryan Dalziel in the #31 EFFORT Racing Porsche 911 GT3 R took second place. 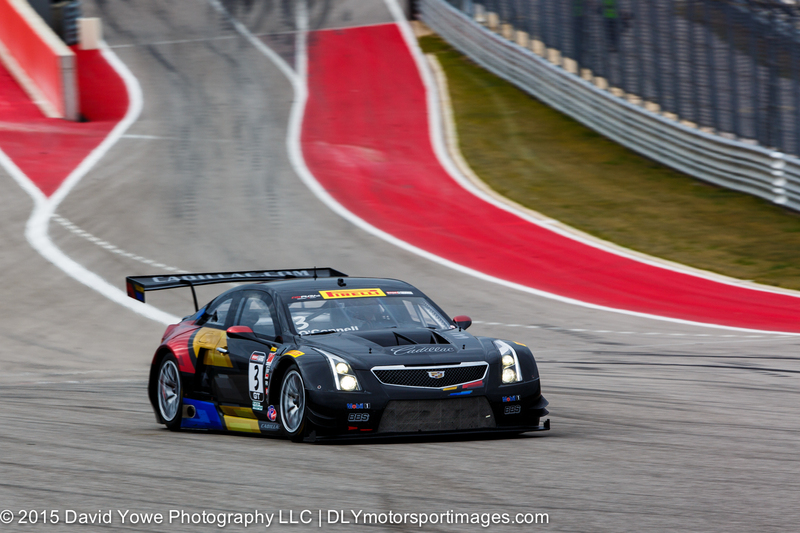 Third place to Johnny O’Connell in the #3 Cadillac Racing Cadillac ATS-VR GT3. 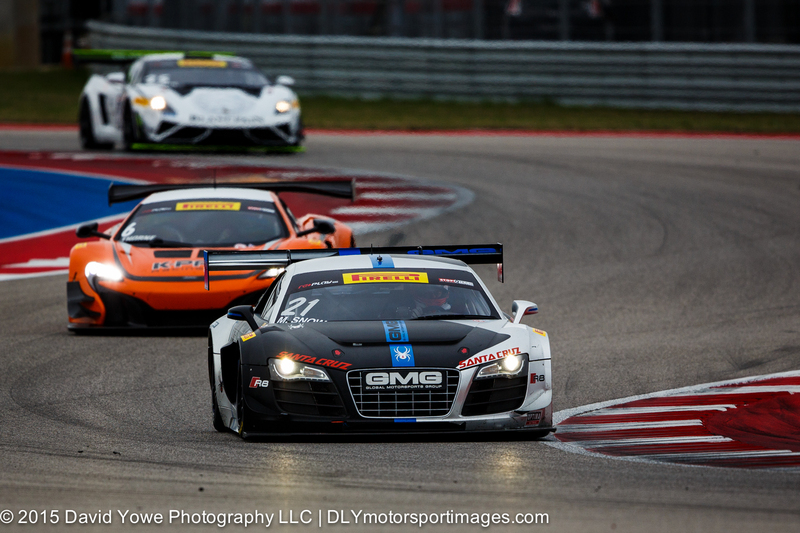 Madison Snow in the #21 Global Motorsports Group Audi R8 LMS Ultra leading the #6 K-PAX Racing McLaren 650S GT3 through the Turn 3 Esses. 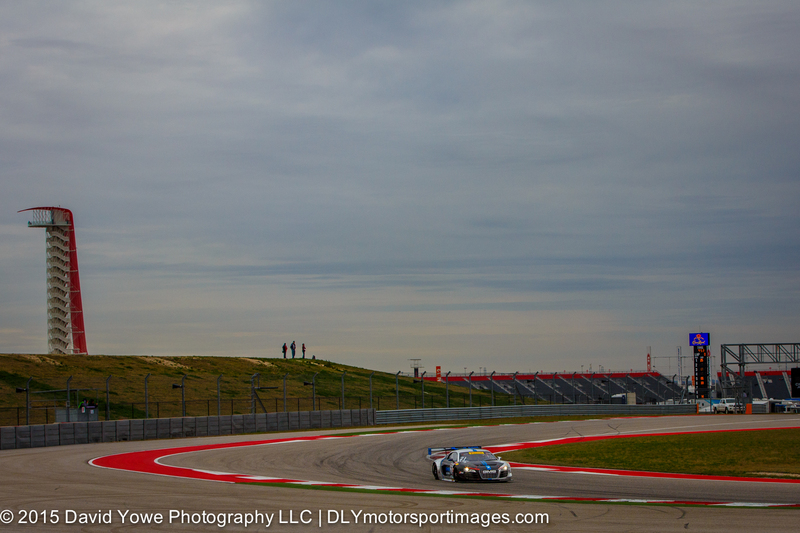 Late afternoon sky at Turn 7. 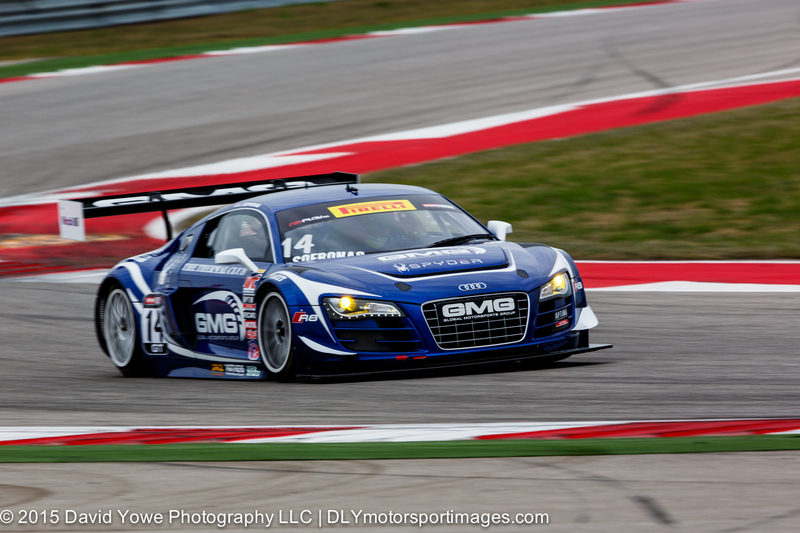 Speeding through Turn 7 with James Sofronas in the #14 Global Motorsports Group Audi R8 LMS Ultra. 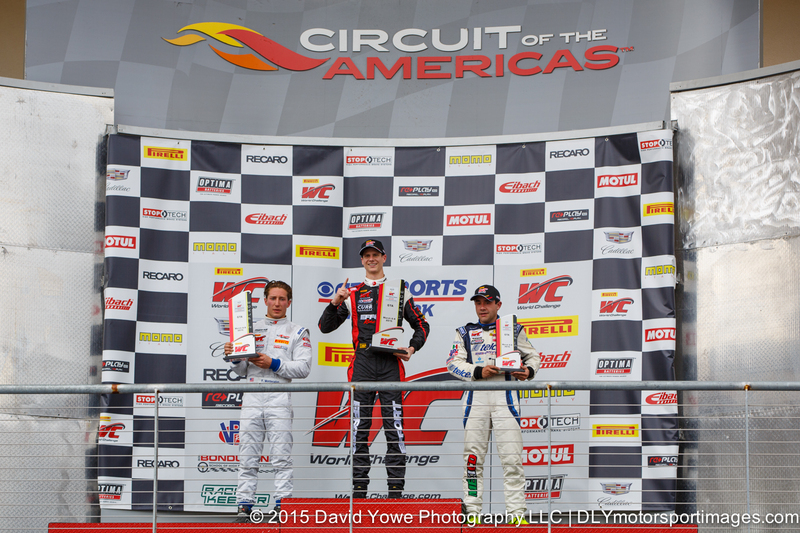 GT winners podium: Oliver Beretta (first, center), Ryan Dalziel (second, left), and Johnny O’Connell (third, right). 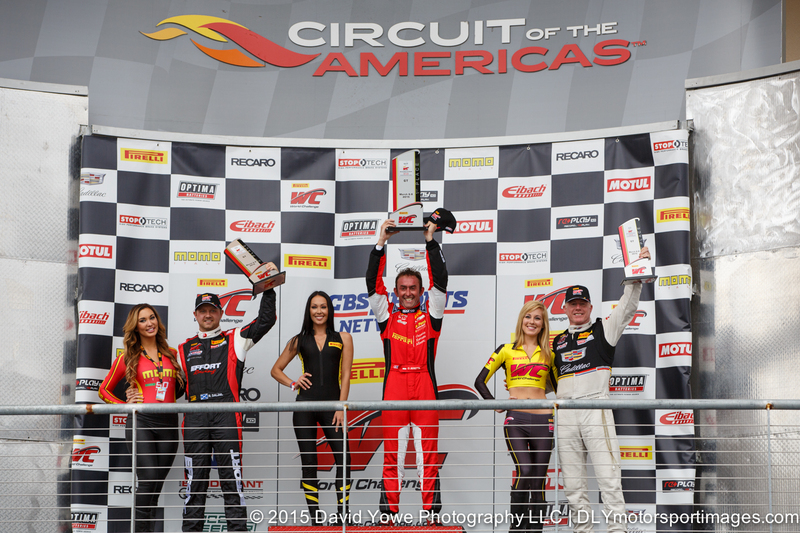 GTA race winners podium: Michael Lewis (first, center), Ricardo Perez (second, left), and Martin Fuentes (third, third). 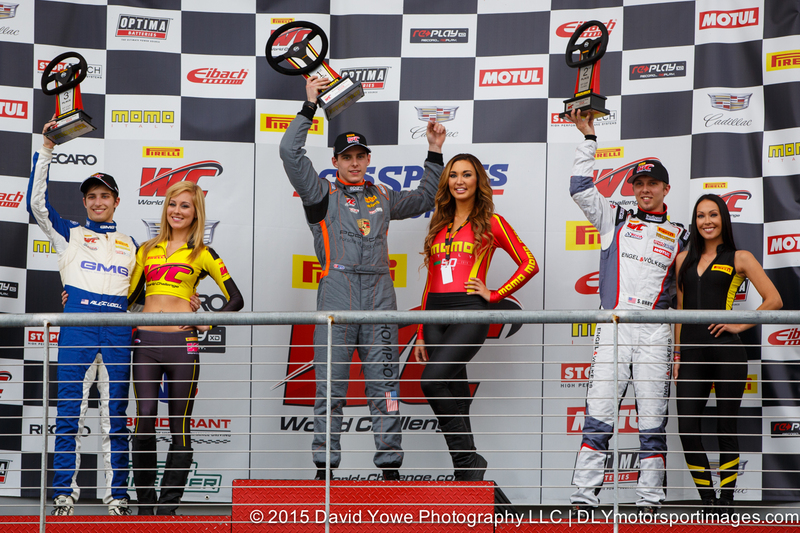 GT Cup race winners podium: Colin Thompson (first, center), Sloan Urry (second, right), and Alec Udell (third, left).